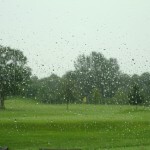 It was spitting down outside, rising to a steady drizzle, after a week of more or less constant rain. 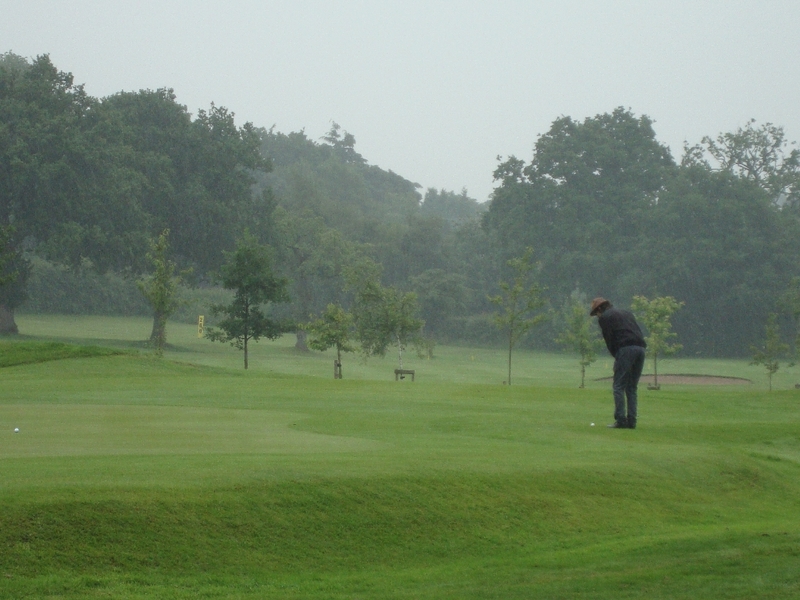 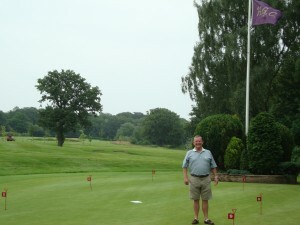 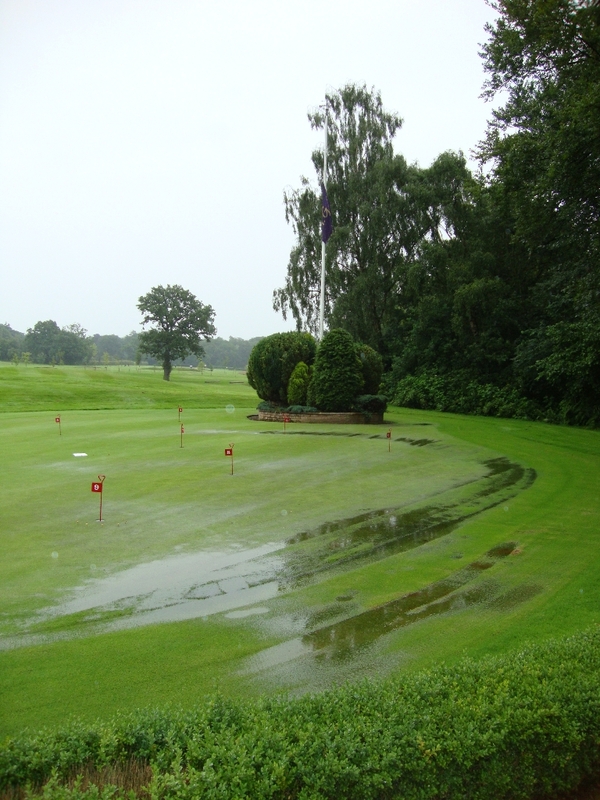 The Royal Hale course had been declared unfit the previous weekend, but today it was just about playable. 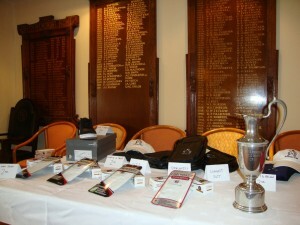 Fitz had arranged the competitions and written out the score cards and Maccie had made the burgers as the St Ambrose Golf Society began to arrive. 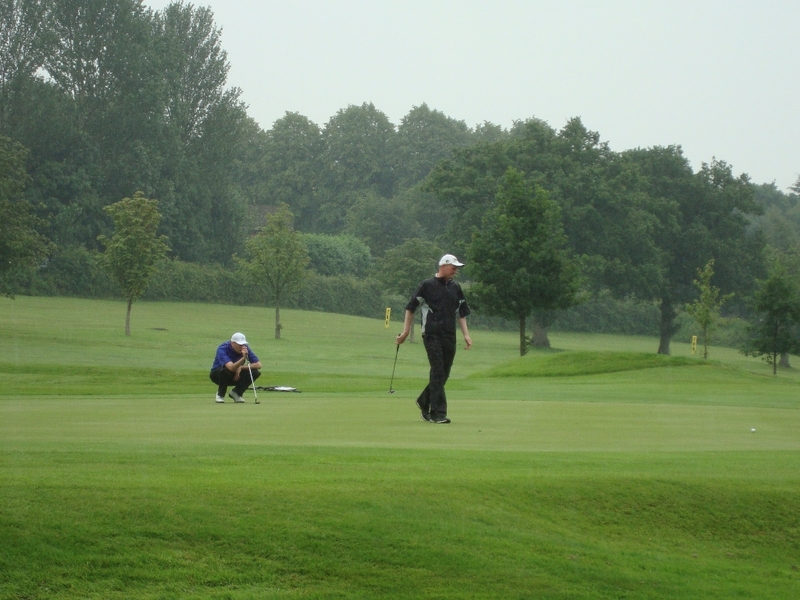 Matt Dempsey returned in glowing triumph after his 2012 success, carrying the St Ambrose Old Boys’ Open Claret Jug Trophy, gloriously polished. 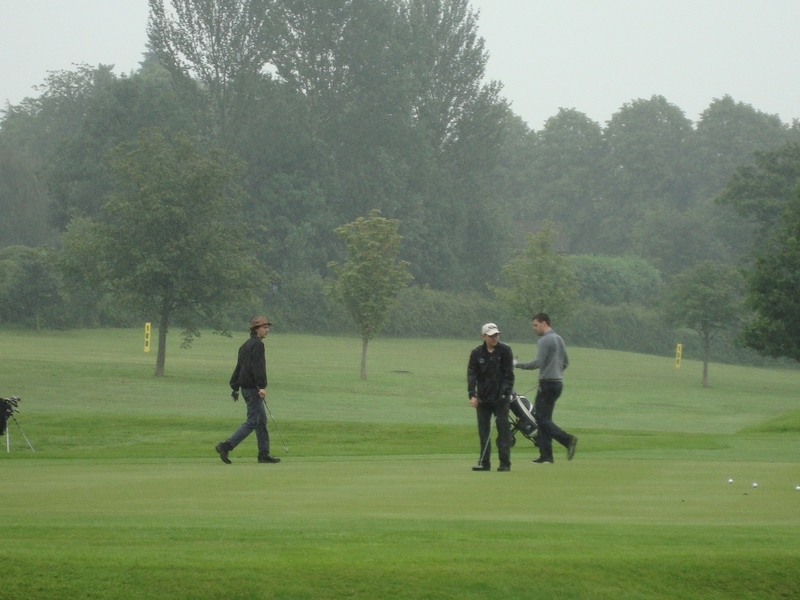 By the time the teams had assembled, the rain was bouncing down. 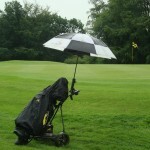 Golf trolleys sprouted large umbrellas. 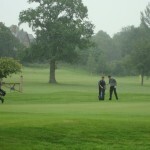 After the traditional last minute team changes, (magnificently and selflessly solved by Fitz jumping ship from Team 3 to Team 4) we had seven teams all setting off approximately on schedule. 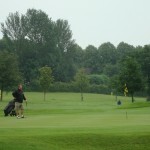 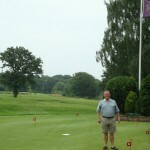 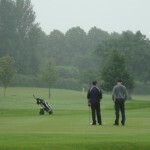 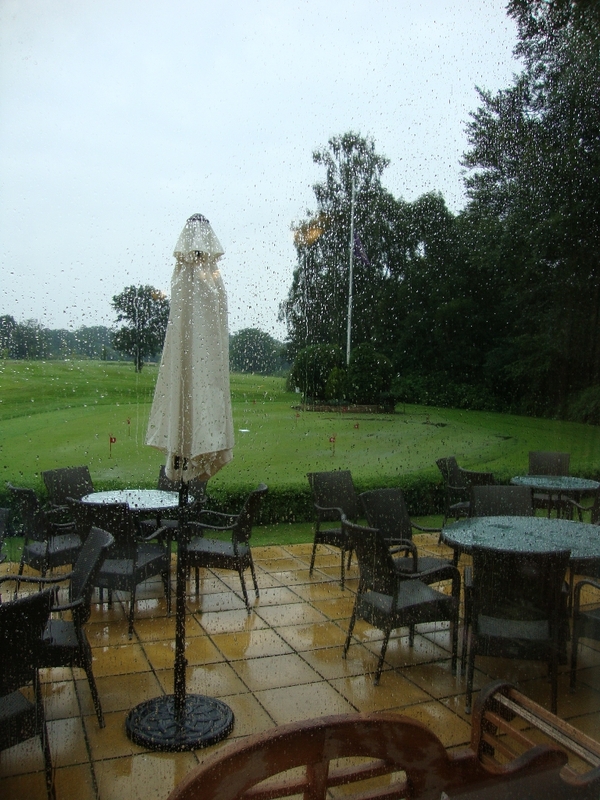 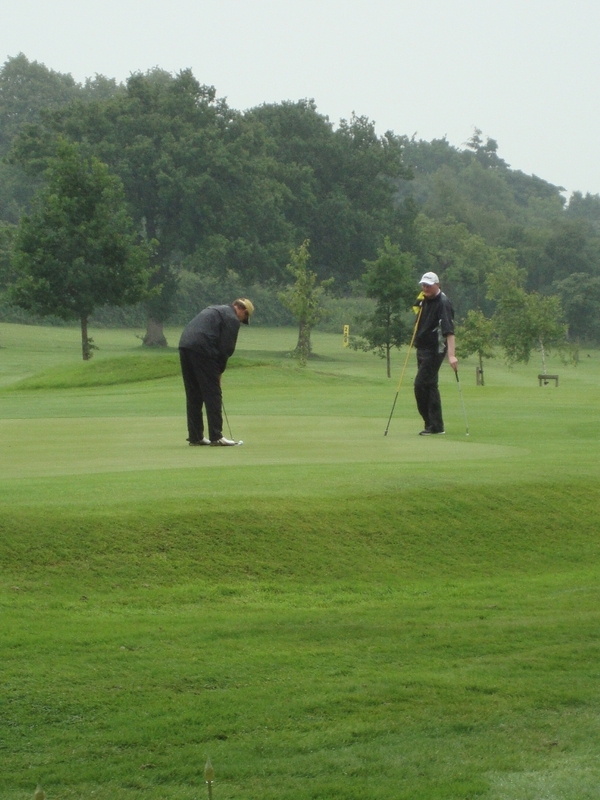 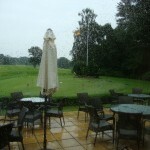 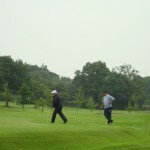 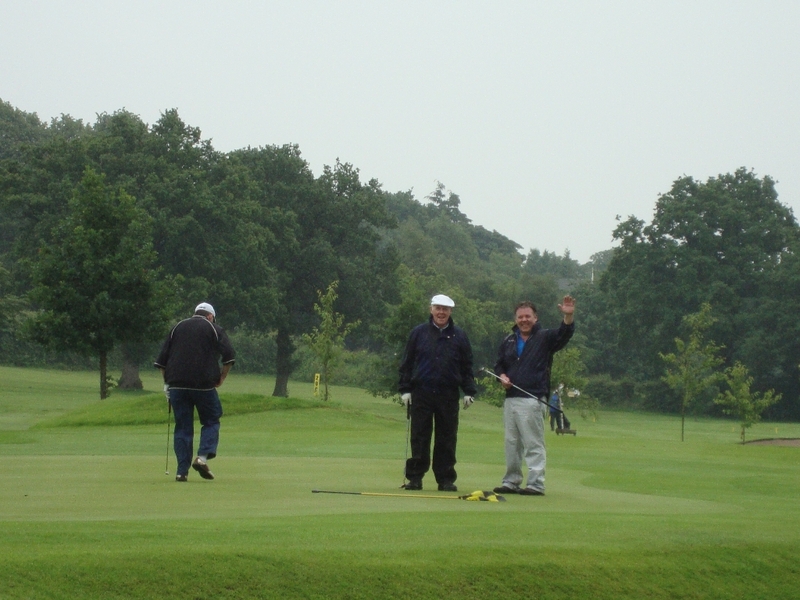 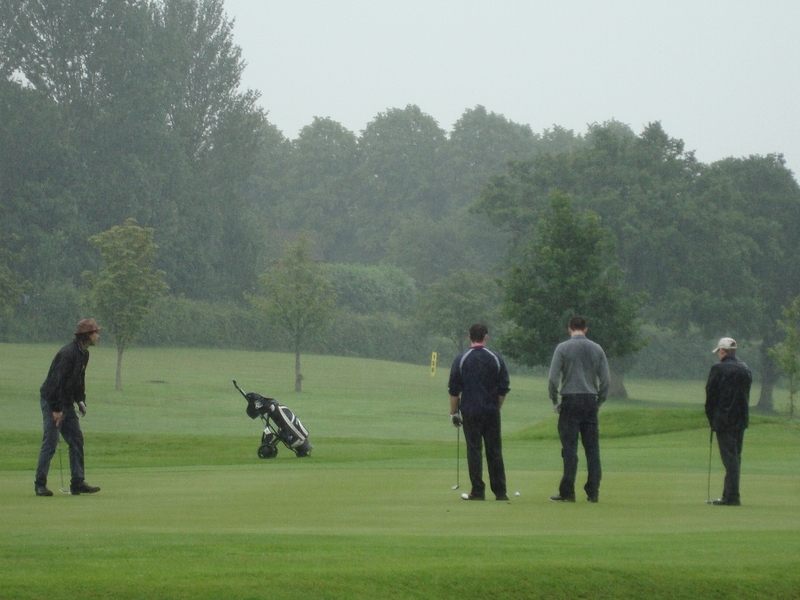 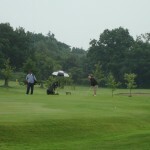 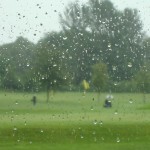 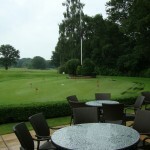 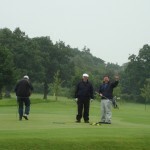 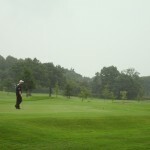 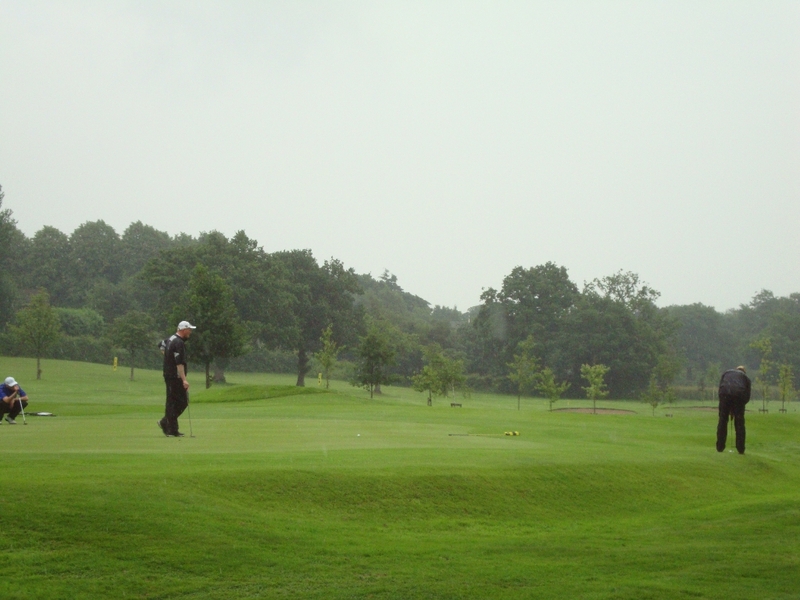 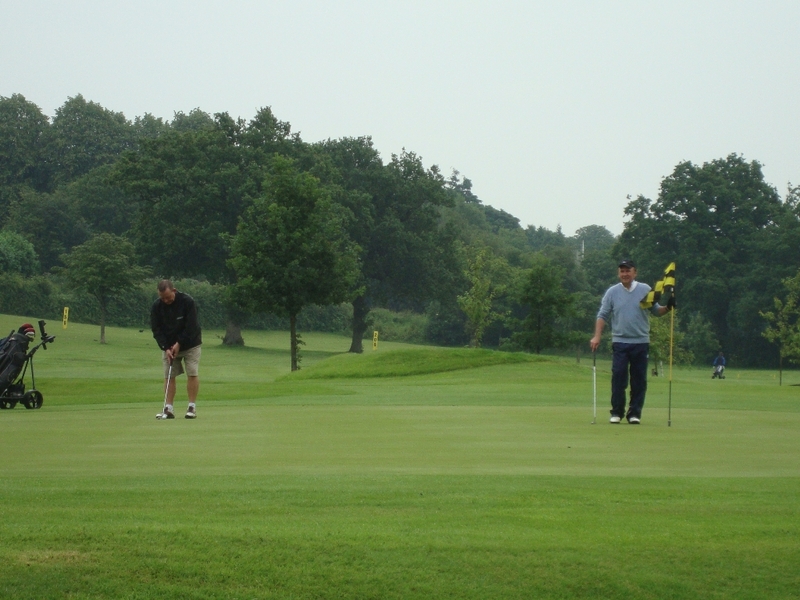 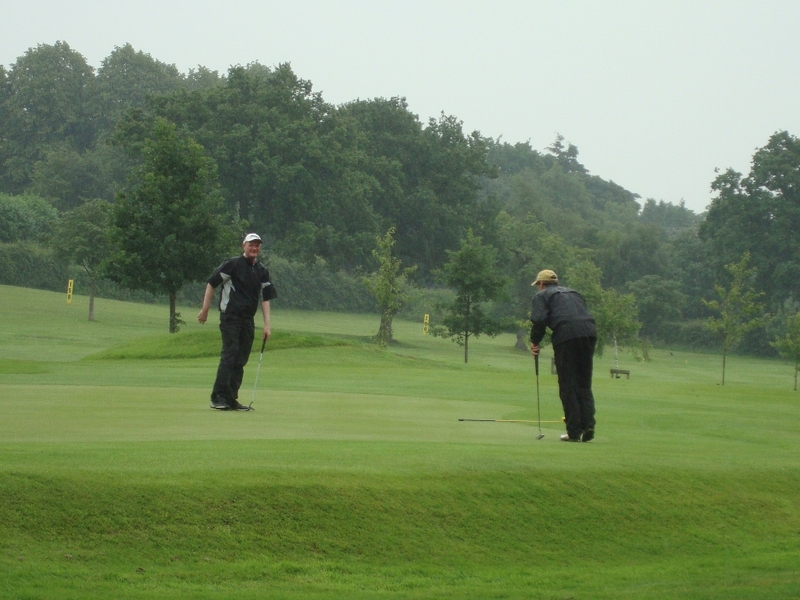 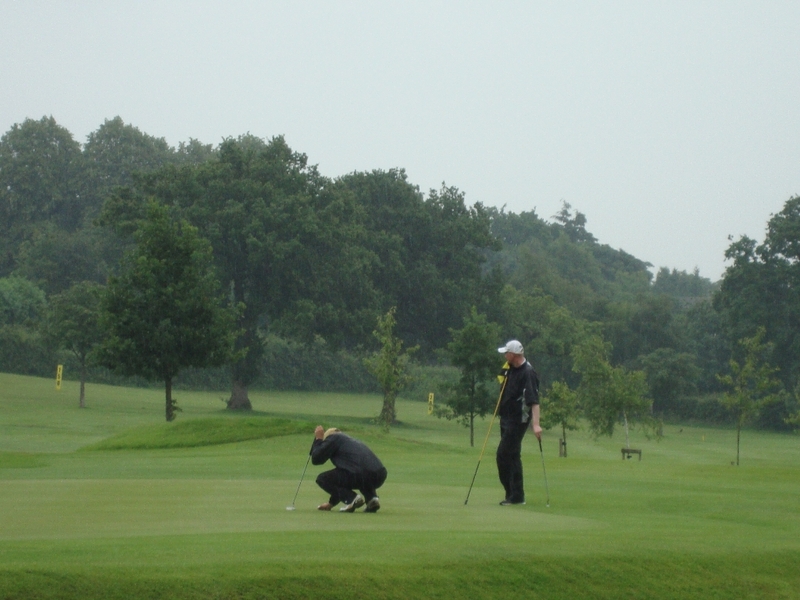 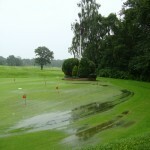 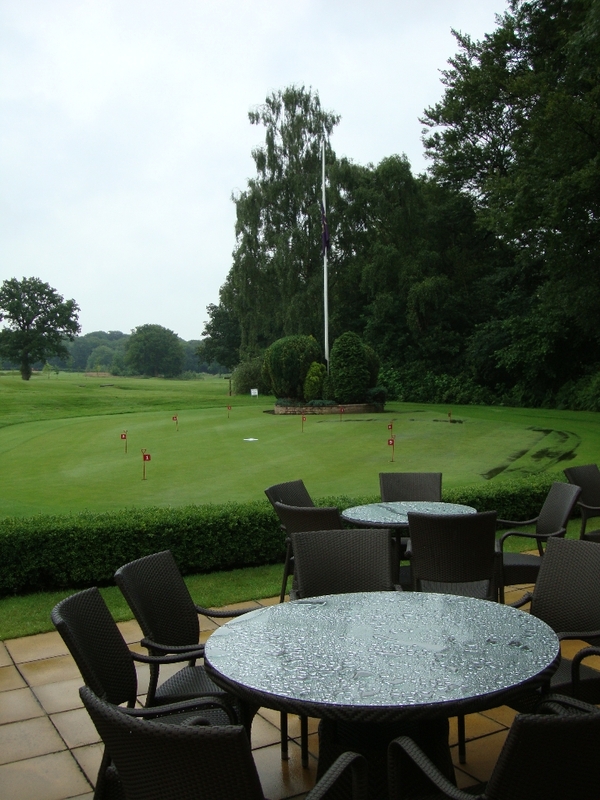 Nobody putted before teeing off, and by the time the teams were half way round the putting green was beginning to flood. 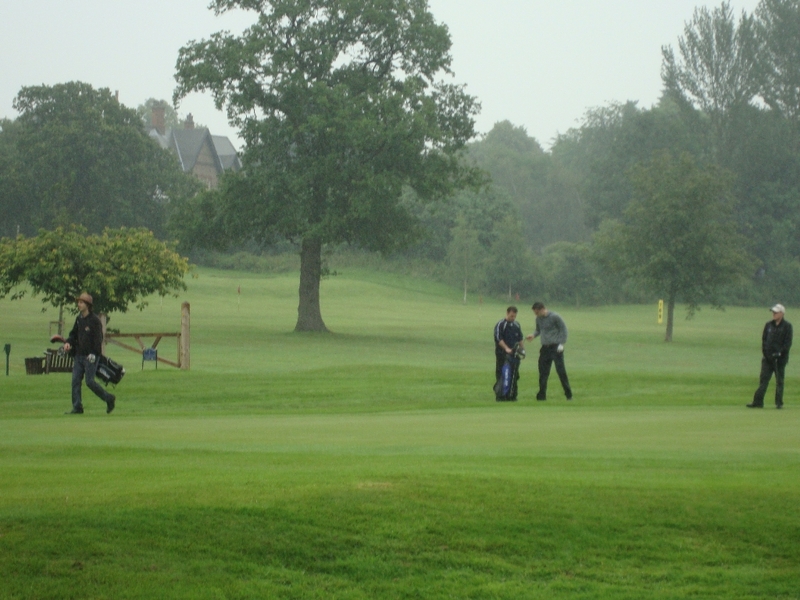 Despite the conditions, nobody opted out and 24 old boys took to the course, in seven teams, all fortified by Maccies legendary home made burgers, sausage and salad, washed down with hot coffee. 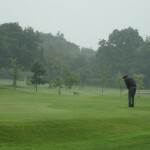 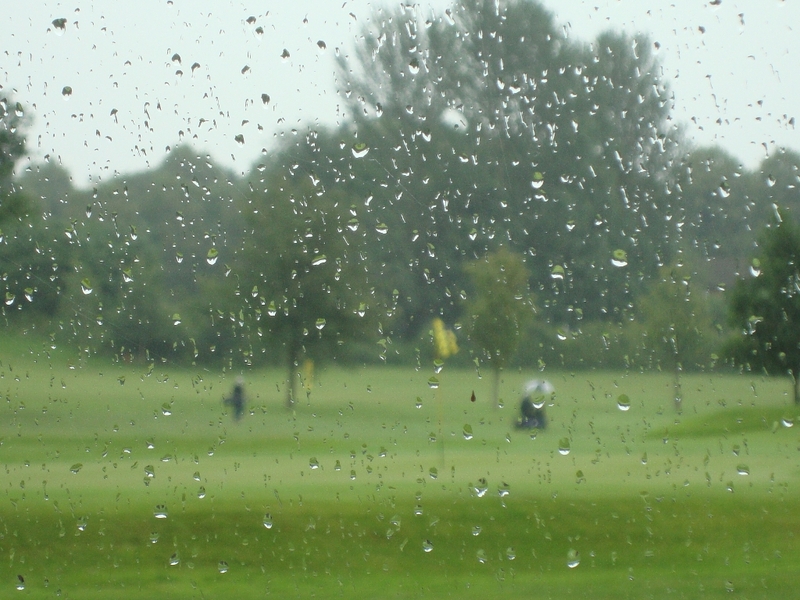 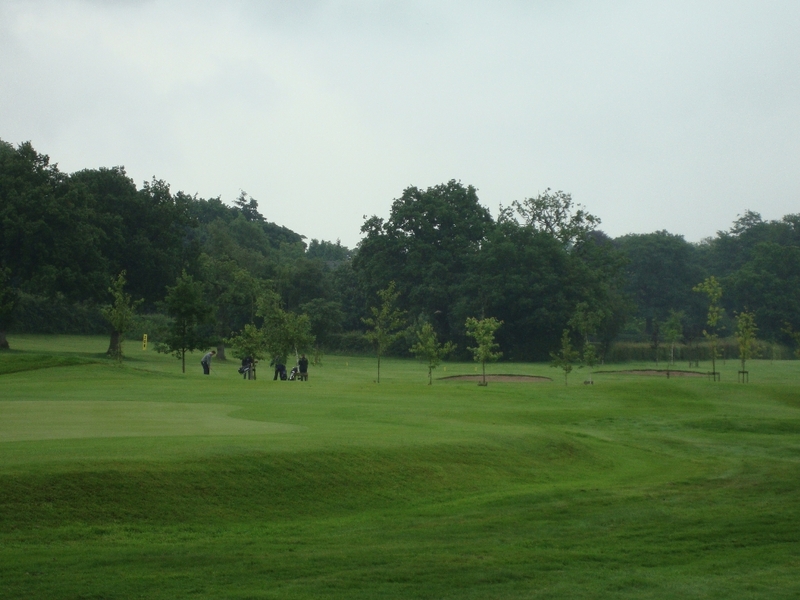 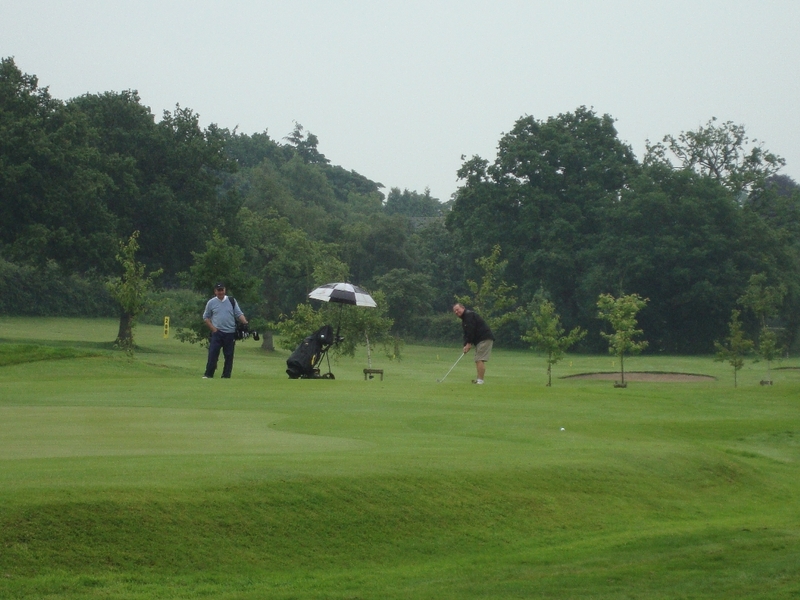 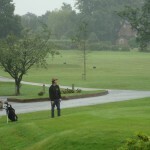 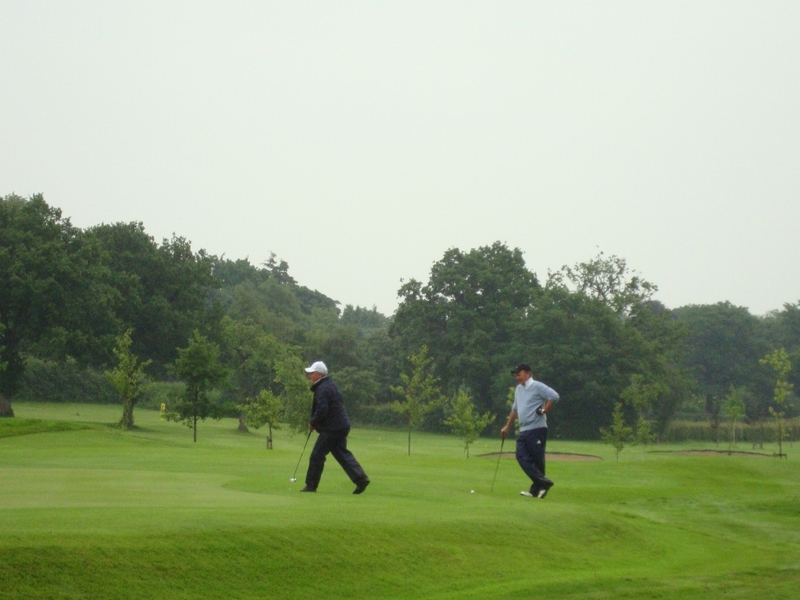 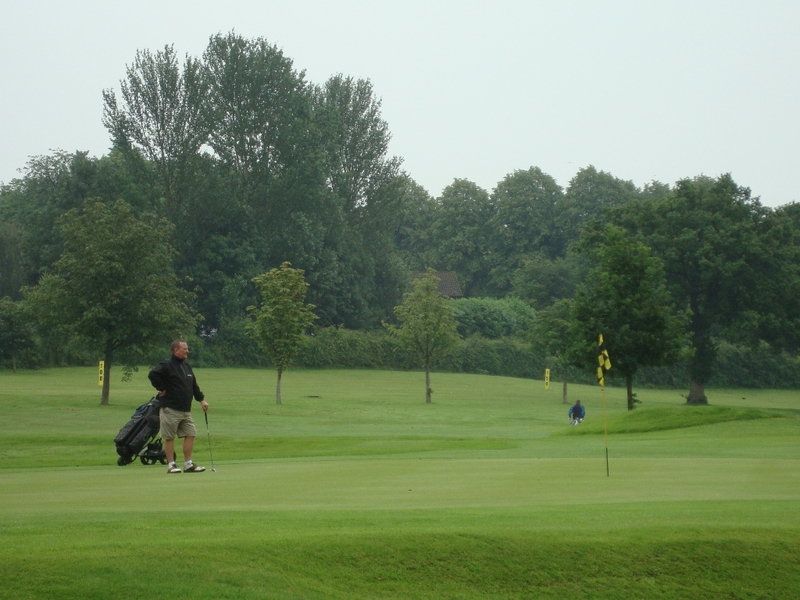 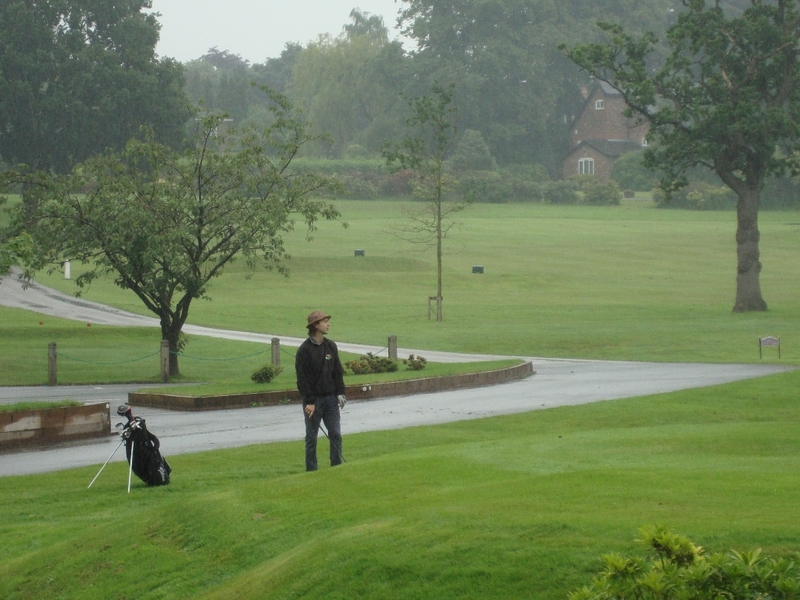 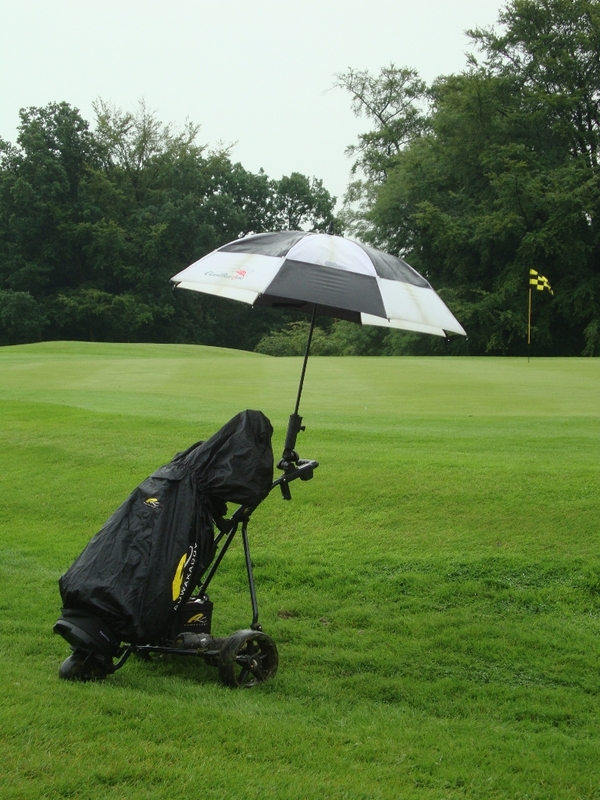 No teams or individuals dropped out on account of the weather; there was nearly £500 worth of golf equipment as prizes to be played for after all. 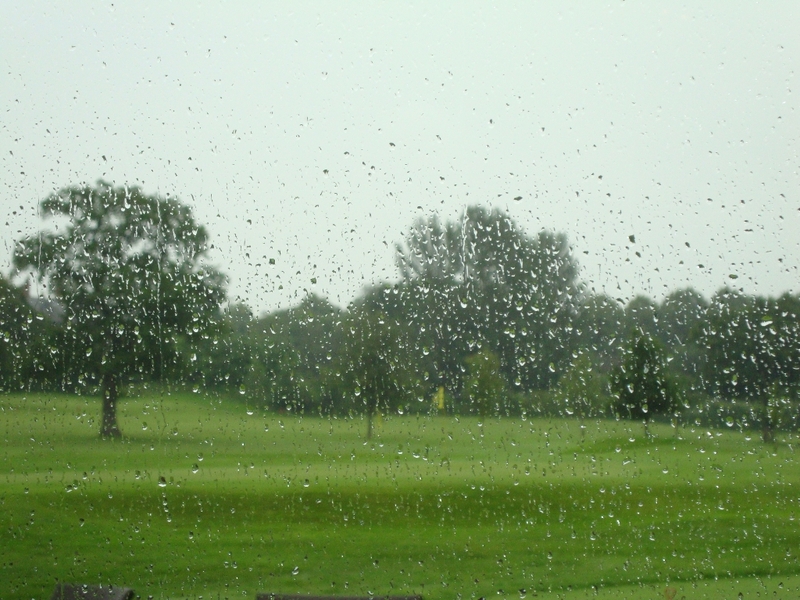 Once everyone had changed, dried off and reflected, it was clear that considering the appalling weather, and considering it was Friday the 13th, the day had been a great success. At dinner SAOBA chairman John Kennedy remembered John Sheehan, Paul Kearns and Barry Butler who have recently passed.He thanked everyone for turning out and braving the conditions; easily the worst we have ever endured. 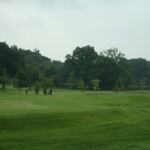 He thanked the Greenkeeper for the outstanding condition of the course, Brendan and Ann McNamara for the catering, which was an excellent smoked salmon and melon starter followed by a beef, pork and ham carvery with all the trimmings which went down extremely well. 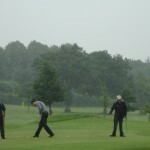 He thanked Peter Fitzpatrick and Matt Dempsey for their organisational efforts and finished by looking forward to next year’s event. 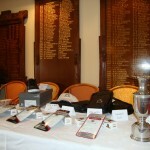 Date to be supplied when known.